The recipe my mother-in-law uses in her hummingbird feeder is simple: two cups of sugar to one cup boiling water. Stir the mixture until the sugar dissolves. Allow the mixture to cool before adding to the feeder. Unused portions must be stored in the fridge. It’s not recommended to use food colouring to make the mixture red, and frankly it is not needed. With this mixture, humming birds are constantly dive-bombing my red-coloured feeder. 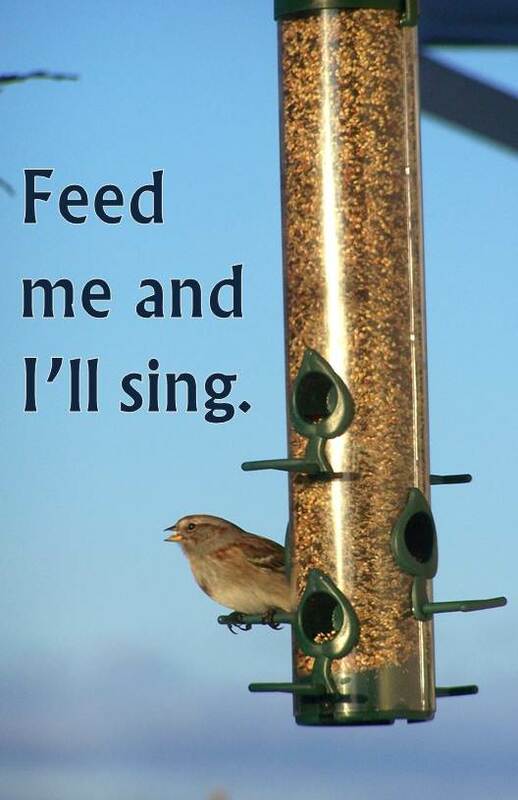 Regardless of the types of feeders used, it is important to clean them regularly. Birds are attracted to plants they can either eat, hide in or nest in. Choosing berry-producing plants, especially ones retaining berries throughout the winter, provide food when the ground is frozen. Trees with berries are mountain ash, chokecherry, serviceberry and hawthorn. Shrubs producing berries are highbush cranberry, sumac, quince, Russian olive and honeysuckle. Perennials and annuals attracting hummingbirds are beebalm, hollyhock, fuchsia, delphinium, and columbine. Usually, red flowers with deep throats attract hummingbirds. Many birds will eat sunflowers. Plants also provide a place to nest and to hide from bigger birds, humans, cats and other animals. A mixture of waist-high bushes, evergreen trees and larger trees provide a safe haven for birds. 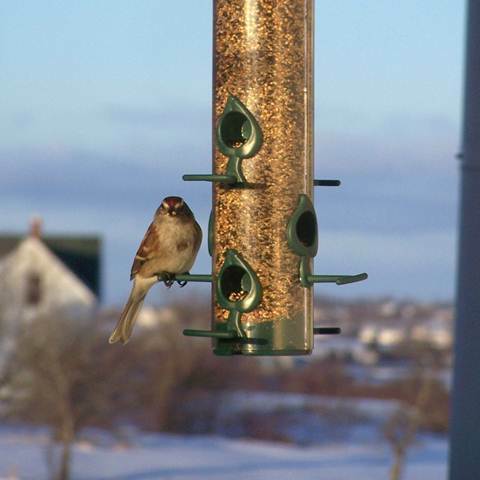 Many birds take advantage of birdhouses, but design is important. Avoid using perches outside the hole. Larger birds can sit and bother smaller birds inside. Small birds will nest in houses with small holes because larger birds cannot enter. To help build their nest, place colourful yarn, string, hay or lint from the dryer in nearby trees. Birds need water, but only go as far as necessary for a drink or a bath. By adding a bird bath, they will spend more time in the garden and provide entertainment for you and any children patient to watch. A little creativity and work will attract and keep birds interested in your backyard and garden, but interestingly enough, one bird enthusiast had the greatest idea: do nothing. By ‘letting the yard go’ and grow into its natural state, birds naturally flock and take up residence.